You are at:Home»iPhone»Sounds»iPad Volume Buttons Stuck Or Not Working? Here’s The Real Fix! The volume buttons on your iPad aren’t working properly and you’re not sure why. You’re having trouble adjusting your iPad’s volume and it’s beginning to get frustrating. In this article, I’ll explain what to do when your iPad volume buttons are stuck or not working! When the volume button isn’t working you can still adjust the iPad volume in the Settings app. Go to Settings -> Sounds and drag the slider to your desired volume. The further you drag it right, the louder your iPad will play sounds. You can also adjust the volume on your iPad using the AssistiveTouch button. To turn on AssistiveTouch, go to Settings -> General -> Accessibility -> AssistiveTouch. Next, turn on the switch next to AssistiveTouch. When you do, a virtual button will appear on your iPad’s display. Once the button appears, tap on it and tap Device. Here, you’ll see the option to turn the volume up or down. The volume buttons are completely stuck, so you can’t even press them down. The volume buttons aren’t stuck, but when you press them, nothing happens. Since these are different problems with a different set of fixes, I’ll address them one at a time. I’ll start with scenario 1, so if scenario 2 represents your iPad’s problem, you can skip down a little. The iPad Volume Buttons Are Stuck! Unfortunately, if your iPad volume buttons are stuck, there isn’t much you can do since the problem isn’t software-related. One thing I do recommend doing is taking off your iPad’s case. Often times, cheap cases made of rubber can jam up the iPad volume buttons and power button. If the volume buttons are still stuck after you take off the case, you’ll probably have to have your iPad repaired. Skip down to the “Repair Your iPad” section to learn about your best repair options! When I Press Down The Volume Buttons, Nothing Happens! If nothing happens when you press down the iPad volume buttons, then they might not need to be repaired. It’s very possible that you’re iPad is experiencing a software issue. First, try hard reseting your iPad, which will force your iPad to quickly turn off and back on. If the volume buttons aren’t working because of a software crash, this will fix the problem. To hard reset you iPad, press and hold the Home button and the power button simultaneously until the screen turns black and the Apple logo appears on the screen. Release both buttons as soon as the Apple logo appears. Sometimes you have to hold the power button and the Home button for 25 – 30 seconds, so be patient and keep holding! 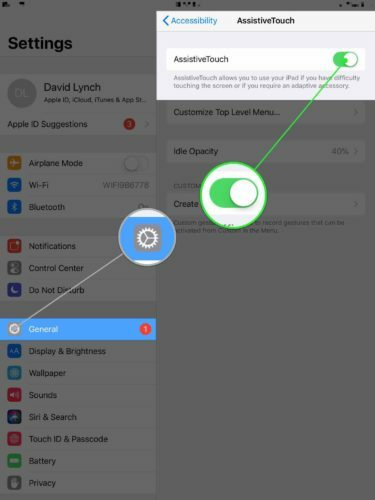 If the volume buttons still aren’t working once your iPad turns back on, move onto to our final software troubleshooting step: the DFU restore. DFU stands for Device Firmware Update and it’s the deepest type of restore you can do on an iPad. It’s important that you perform a DFU restore, not a regular restore because a DFU restore updates the firmware — the code responsible for controlling the hardware of your iPad. Check out our video on YouTube to learn how to put your iPad in DFU mode and restore! If a DFU restore didn’t fix or your iPad, or if its volume buttons are still stuck, you’ll have to get your iPad repaired. If you plan on taking your iPad into your local Apple Store, we recommend scheduling an appointment first so you don’t have to wait around. We also recommend Puls, a third-party, on-demand repair service. They send a vetted technician to meet you at your house, place of work, or local coffee shop. Your iPad volume buttons are working once again, or you have an excellent repair option that can fix them as soon as possible. If you still have questions about what to do when your iPad volume buttons are stuck or not working, feel free to ask them in the comments section below! Previous ArticleiPhone Volume Buttons Not Working? Here’s The Real Fix! Next Article New iOS 12 Features: 9 Things We’re Excited About!